In this tutorial, I will show you how to install TeamViewer on Ubuntu 16.04 LTS. TeamViewer is a remote control software. It’s free for personal use. You can use TeamViewer to control other computers which also has TeamViewer installed. The following method also works on Elementary OS Freya. So let’s get started. 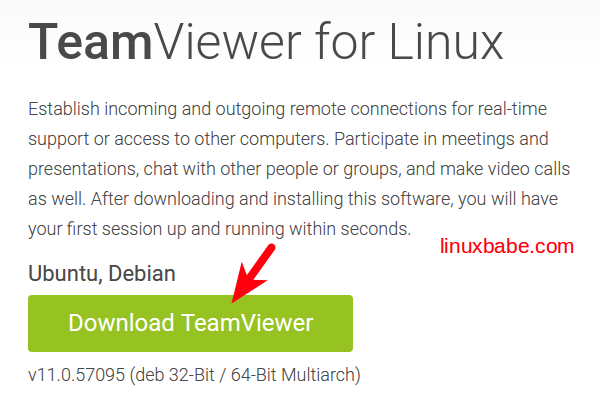 First go to TeamViewer download page and download the deb package for Debian/Ubuntu. Notice that this is a 32 bit deb package. 64 bit deb package is only available for old Debian/Ubuntu systems without multiarch capability (e.g. Debian 6, Ubuntu 10) and is useless for Ubuntu 16.04. Once the download is complete, open a terminal window and cd into the download folder. If you are using 64 bit Ubuntu 16.04 system, then you must enable i386 architecture using the below command before continuing to follow this tutorial. Now install dependencies for TeamViewer. Now you can start TeamViewer from Dash menu or by typing the following command in the terminal. 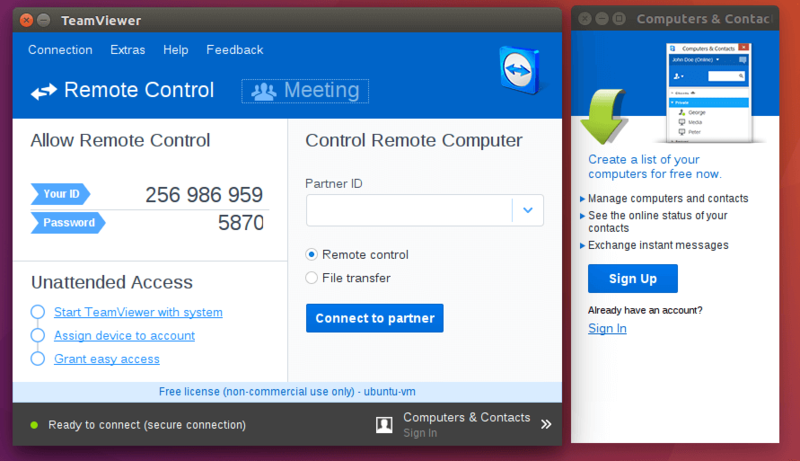 If you want to remotely control your Ubuntu machine from Android device, then install TeamViewer for Remote Control from Google play store and enter the partner ID of Ubuntu in Android. Many times, an application is available for Windows, Mac, Android and iOS, but not for Linux. 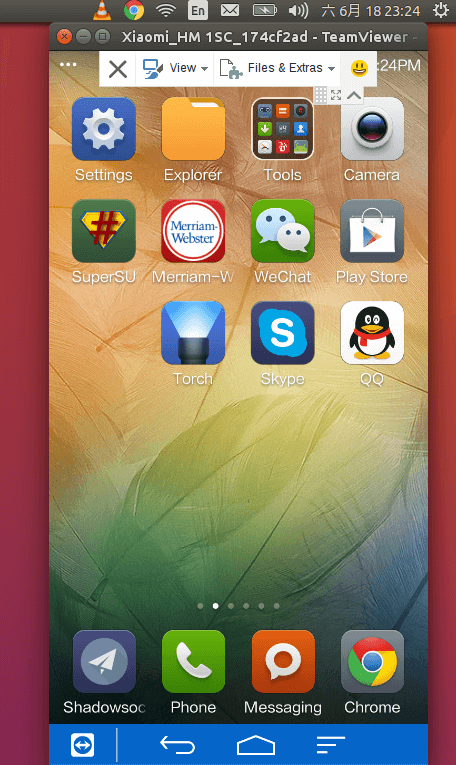 In this case, we can install that application on Android and remotely control it from Ubuntu. How cool is that! To be able to do that, you simply need to install TeamViewer Quick Support. Despite that fact that it’s a proprietary product, TeamViewer is a great piece of software for technical support. 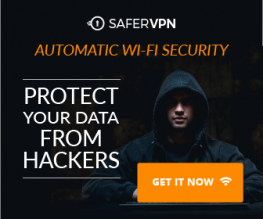 It shares a computer’s screen with a remote computer and doesn’t require you to enter some IP address or TCP port. All you need to enter (or give) is a TeamViewer ID and a temporary password that changes every time you start TeamViewer. As the technical assistant , you can control the remote computer and fix the problem. Or you can instruct the user what to do while watching everything that is happening on their computers. TeamViewer responds quickly which is a great advantage. TeamViewer free version is for personal use only. However, if you use it for commercial technical support, you need to buy the business license. If you install Wine on your system, you may notice that a wined version of TeamViewer will automatically start when system is booted up. To solve this problem, you can edit your cron job. And add the following line at the end of the file. Save and close the file. The wined version of TeamViewer will be automatically killed after the system finished booting up. Enjoy the article! As always, if you found this post useful, then subscribe to our free newsletter. You can also follow us on Google+, Twitter or like our Facebook page.